Become a Member! | Pen Parentis Literary Salons | Parenting Done. Write. You are here: Home » Become a Member! Parenting can be isolating, so can writing — let’s build a community of people who know what it’s about, who have been there, who are going there. Are you a dedicated writer who is also a parent? 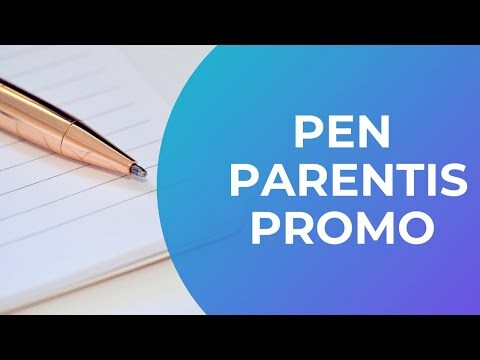 Stand up as a Pen Parentis Author! Pen Parentis is a supportive home for ALL writers who are also parents. Basic Membership is free and is open to dedicated writers at any level of their writing careers. We have members who have won the Pulitzer Prize in Fiction, members who have won National Book Awards, members who have won poetry contests, members who have been nominated for Pushcart Prizes, members who have been pecking away at a novel for decades, and members who have just graduated from an MFA program. We even have members that made the decision to devote themselves to a writing career within the last six months. They have not yet published a single story, but they are writers because they WRITE. The other half of the Membership requirement is to be a parent. All self-identified parents are welcome. We do not discriminate based on gender, sexual preference, marital status, nor on the age of the children, nor on whether those kids are biological, adopted, or some contemporary time-share situation. It is okay if your kids have grown and flown (this makes you an expert and we want to hear your advice!) or if your child is still in the planning stages (face it, we were all terrified and wondering how our writing careers were going to survive the demands of parenthood). Are you a PARENT and a WRITER? Do you consider your writing career more than just a hobby? Then stand with us!